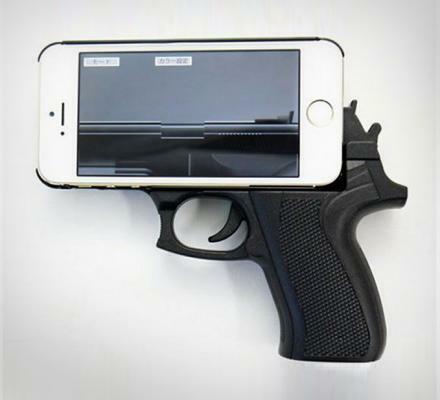 The hand gun iPhone case transforms your phone into a hand gun which you will never again be able to put in your pocket. It works with a downloadable app so that your screen becomes part of the gun and will make gun movements on the screen and gunshot noises that come from the speaker when you pull the trigger on the gun, and will even let you play games like Russian roulette at parties. 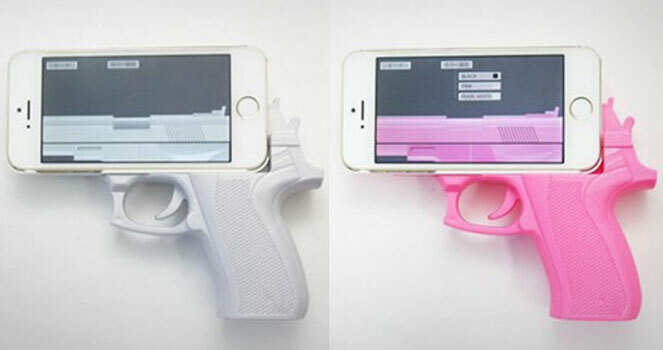 The iPhone hand gun case comes in black, white, and pink, and is available for the iPhone 5, and iPhone 5s models. If you are into ridiculous iPhone cases be sure to check out the nose iPhone case, the ear iPhone case, or the creepy hand iPhone case.